Back in the 90s when Sega actually made consoles, there was a series called Wonder Boy created by Ryuichi Nishizawa. Skip forward many years to the present, and Nishizawa is working on a successor to those games with developer Game Atelier USA. Monster Boy and the Cursed Kingdom is a classic-style action RPG, and you can see the titular beast infant in action right here. Rather get playing something right now? These are the best PC games out now. 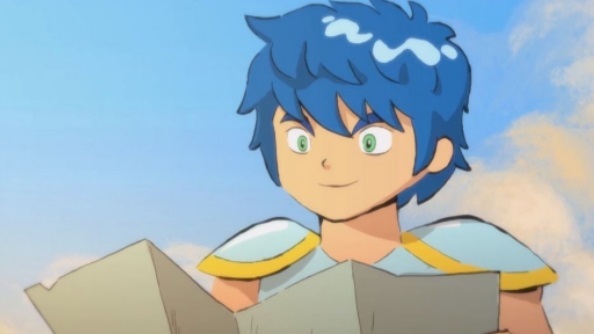 Monster Boy has the ability to change into five different creatures: frog, pig, snake, lion, or human boy form. It shares a fair amount of DNA with those classic Wonder Boy games, although it started out as a sequel to Game Atelier USA’s Flying Hamster when it tried to raise funds on Kickstarter. The campaign failed to meet its goal, but development has continued anyway. Monster Boy and the Cursed Kingdom is due to release on PC in 2016.